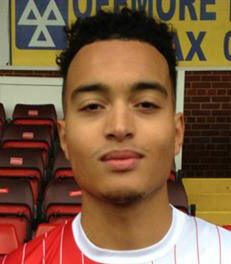 Josh Ezewele originally signed for the Harriers on a month long loan from Yeovil Town in January 2017 but soon after signed a contract with us until the end of the season. The former West Brom graduate made one substitute appearance for Yeovil in the Checkatrade Trophy against Reading U23’s in November 2016 but never made the break through to the first team. Josh is the twin brother of Loius Ezewele who plays for Tamworth. He left us after one season much to the fans surprise. A few weeks later he became the third ex Harrier to join AFC Fylde.